Last year's pricing reform in Germany has brought the country more in line with the access barriers experienced in its European neighbours. The changes make it more important than ever for manufacturers in the region to fill the gap between regulatory and reimbursement requirements to create the optimal value proposition for a brand. However, thanks to the evolving regulatory environment in Europe, creating a compelling value proposition is becoming much more complicated, resulting in the need to adjust organisational processes, timelines and resources in the development of new drugs. 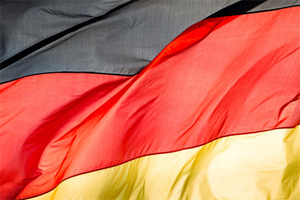 Prior to the introduction of the Act on the Reform of the Market for Medicinal Products (AMNOG) in January 2011, Germany was a free-pricing market. Under AMNOG, many products are now required to submit a value dossier showing tangible additional benefit against an appropriate comparator therapy, which is evaluated by the Federal Joint Committee (G-BA). In the months since AMNOG came into effect, a number of drugs have been rejected by the G-BA because the agency determined an incorrect comparator had been chosen, including Boehringer Ingelheim and Eli Lilly's Type 2 diabetes drug Trajenta (linagliptin). The G-BA had specified that linagliptin should be compared with a drug from the sulphonylurea class, such as glibenclamide or glimepiride. However, IQWiG was unable to infer any such benefit from the dossier because the manufacturers compared linagliptin with a different drug from the gliptin class. Novartis faced similar difficulties in the UK when its multiple sclerosis drug Gilenya was declined by the National Institute for Health and Clinical Excellence (NICE)due to its comparator, Avonex, not being a widely used therapy in the UK. NICE eventually reversed its decision and recommended Gilenya for a sub-population, based on new data as well as cost discount from Novartis. These are two examples why, in markets throughout Europe, payer evidence planning must become more strategic, multidisciplinary and methodical in identifying, evaluating, and prioritising evidence requirements essential to establishing market access for new products. This calls on payers, too, to step out of their typical gatekeeper role and become an active player, proactively advising on potential evidence requirements to be included in phase II and phase III trial design by providing an infrastructure and processes to help the industry select the optimal clinical endpoints, outcomes measures, study population, indication sequencing and formulation considerations. Engaging with payers and developing a payer-balanced value proposition effectively is a complex challenge. Payers in Europe are a heterogeneous group, and their requirements are driven out of their respective national focus and social heritage, which are unlikely to be harmonised across Europe in the near future. Whether drugs are regarded as equally efficacious across different EU countries is an unresolved issue for the industry. Pricing reform in Germany has brought the country more in line with the access barriers in its European neighbours, making it more important than ever for manufacturers in the region to fill the gap between regulatory and reimbursement requirements to create the optimal value proposition for a brand. In markets throughout Europe, payer evidence planning must become more strategic, multidisciplinary, and methodical in identifying, evaluating, and prioritising evidence requirements essential to establishing market access for new products. Payers need to step out of their typical gatekeeper role and proactively advise on potential evidence requirements to be included in phase II and phase III trial design. Payers are becoming more aggressive in their decision making due to the conflict between the demand for healthcare resources versus the tightened budgetary conditions of most public and private payers, the increased availability of perceived viable alternatives to a given treatment, and consolidation of regional payers. The objective of early-stage evidence planning is to develop a robust value platform that demonstrates the rationale and necessity for payers to provide profitable access to new products. In light of this challenge, companies must now balance regulatory and reimbursement evidence requirements earlier, and sufficient processes and organisational structures must be implemented to provide this evidence effectively. Even more challenging, processes must be put in place to help companies decide whether a costly clinical development programme should be abandoned if the risk adjusted outcome projections are unlikely to meet payer requirements later. Payers are becoming more aggressive in their decision making due to the conflict between the demand for healthcare resources versus the tightened budgetary conditions of most public and private payers, the increased availability of perceived viable alternatives to a given treatment, and consolidation of regional payers, as well as increasingly expanded roles of governments and national agencies. As a result, payers are increasingly demanding clinical outcomes by taking new endpoints into consideration such as quality of life and socioeconomic benefits or hard-coded endpoints like overall survival in the case of oncology. Pursuing these endpoints can present a challenge to traditional trial designs, often requiring trials to include higher patient counts and a comparator in a head-to-head setting. Hence, trials tend to be of a longer duration and be larger in size in order to capture certain outcome information. In many indications, trials may require years of observation. In order not to let strict health-economic outcome requirements strangle promising drug candidate development, less stringent patient stratification and meta-analytic approaches should be considered in a joint effort between payers and the industry. But the trend to larger and more powerful trials as imposed by payer requirements has led many trial centres to be less experienced, less well equipped, and insufficiently set up to conduct trials that pursue such practical endpoints with relevance in real life. Both the industry and the payers have a common interest to help the development of value-add drugs while balancing the outcome promise and financial burden for the societies. This calls for joint efforts and adjustments of roles on both sides. In early development (phase I/II), an increased focus on hypothesis generation and outcome scenario analysis is necessary on the industry side, followed by value proposition planning for payers and regulatory, based on risk-adjusted scenario projections. Strategic clinical development planning for hypothesis validation then must be performed, including strategic market access expertise and risk-forecasting capabilities. The objective of early-stage evidence planning is to develop a robust value platform that demonstrates the rationale and necessity for payers to provide profitable access to new products. Various disciplines must collaborate very early in a drug's life cycle to develop optimal clinical development strategies on a (local) payer scenario planning basis. This represents a change to current organisational settings and creates a new dogma on how to develop drugs in the industry. Along with the epidemiology and HEOR functions within the company, the new objective for the clinical team is to develop more efficient trial designs and a more realistic evidence basis for the products in development, meeting the various requirements of payers throughout the Western world. The key deliverable required is trial design and a life cycle management plan after phase IIa. Alternatively, a decision needs to be made early on not to pursue a comprehensive clinical programme, saving the available resources for projects with higher probability of payer success. The new objective for the regulatory team is to develop a more integrated communication between regulatory, HTA and payer bodies. Their key deliverable is an engagement plan and communication tools. Meanwhile, the new objective for the commercial organisation is to develop brand and launch planning for integrating global strategy and local implementation needs. Their key deliverables are long-range brand and launch plans. The pricing and market access team will need to provide long-range projections on local payer requirements, delivering local payer segmentations and need-maps. While the evidence-generation process is driven by the R&D organisation, companies are beginning to build up the commercial capability and skill set within their R&D organisations. Three stakeholder groups (medical, marketing, and market access) instead of the traditional two (medical and marketing) must jointly design a clinical development programme starting immediately before phase II. Payers, meanwhile, need to provide a platform and a defined process to advise the industry on the needs and requirements on the payer side that need to be addressed by appropriate clinical endpoints. The desired optimal endpoint in this context must be balanced by real-life feasibility, however. There is no point in a society asking for the most powerful, statistically relevant endpoint if that endpoint is not feasible for the industry from a financial, time or infrastructure point of view. Looking at the current situation in the industry, only a few companies appear to have begun to embrace and implement this new dogma on clinical development. Bayer, AstraZeneca and Novartis are among those frontrunners taking the first steps to make this new reality happen. Bayer, for example, has started to implement a 'strategic market access' perspective in its early clinical trial design. Access-relevant expertise is brought to the table before phase II, jointly with the traditional medical and commercial drivers in the organization. Nevertheless, which Market Access Risk evaluation approach will prove to be sufficiently robust to make go-no-go decisions on clinical investments is still to be seen. AstraZeneca is collaborating with IMS Health in the use of real-world evidence based on observational and retrospective studies throughout Europe. The partnership will give AstraZeneca access to pre-existing anonymised electronic health records, and the companies will jointly develop a customised research and data analysis platform. The information is expected to provide insight into how medicines that are already on the market are working in real-world settings across Europe, and the data will also be used to inform AstraZeneca's discovery and clinical development programmes. Novartis has been a leader in coordinating with payers. After a legal battle with NICE to appeal a decision regarding the company's wet age-related macular degeneration drug Lucentis, the company subsequently engaged NICE as a consultant for an upcoming phase III clinical trial. The partnership helped Novartis to design better studies and better assess economic value. It also made for a smoother NICE appraisal process. An official process has been created, via the NICE website, for other companies to seek the organisation's input. The influence of HTA agencies such as iQWiG in Germany and NICE in the UK is strong, but the gap between regulatory and reimbursement needs across countries will not be harmonised soon, creating increasing and persistent complexity for the industry to deal with. The shift from absolute clinical effectiveness to relative clinical effectiveness and healthcare efficiency will accelerate. In light of these trends, manufacturers require a new combination of skills and earlier implementation in their organisations, undertaking broader and bolder clinical trials. High-end scenario planning capabilities will also be required to develop 'multiple-choice' value propositions. Finally, new communication routes to HTA agencies will need to be established so that these organizations can advise on clinical trial design. By following this path, manufacturers will be able to avoid the fate of products like linagliptin in Germany and be better prepared to handle new challenges that emerge in Europe's evolving payer landscape.